American pop rock band Against The Current bring their Gravity World Tour to Singapore. Student musicians from Ang Mo Kio Secondary School will perform beloved National Day songs and other popular tunes. Under the direction of Lim Yau, the Nafa Orchestra presents Beethoven's Seventh Symphony, described by Richard Wagner as "the apotheosis of the dance". The concert also features a newly commissioned work by Dr Zechariah Goh, head of composition studies at Nafa. A show by American singer-songwriter Joshua Radin, whose tunes were featured in the TV sitcom Scrubs. 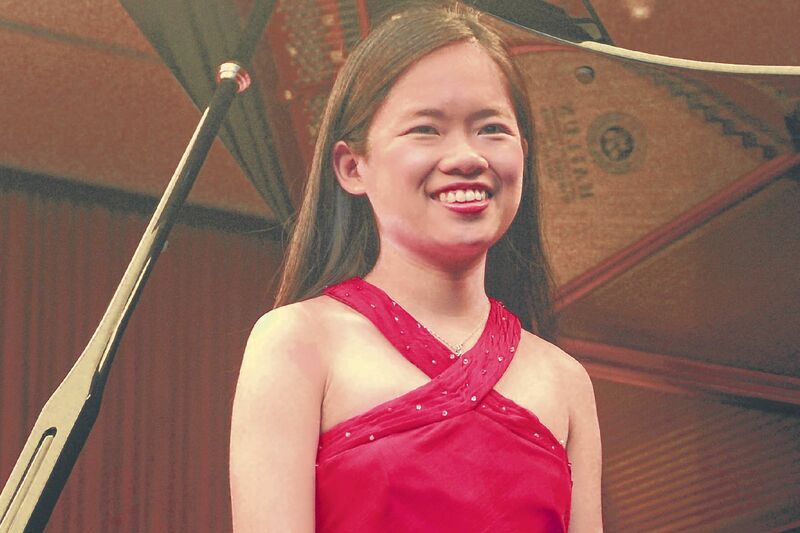 Pianist Abigail Sin (left) and violinists Loh Jun Hong and Gabriel Ng will perform what the audience picks from a menu of pieces, ranging from Bach to Brahms to Gershwin. In aid of 3,000 disadvantaged elderly folks in the South East district, this mass stair-stepping fund-raiser will donate one health pack to the beneficiaries for every 500 steps accumulated. There will be a series of activities and 3-D printing workshops at the festival. The event organiser is raising funds for The Straits Times School Pocket Money Fund through the fees collected from the workshops and sale of 3-D printing modelled pieces. The Bloomberg Square Mile Relay calls for Singapore's toughest businesses to compete in this 1.6km 10-runner relay race through the Central Business District. The winning team will receive $10,000 to donate to the charity of its choice. World Toilet Organization will be organising the Urgent Run at Angsana Green, East Coast Park. This year's edition will feature a 5km fun run in which participants are encouraged to dress up in sanitation-themed costumes. Funds raised at this event will go towards improving sanitation conditions around the world. This talk by Dr Tay Chong Meng, associate consultant at University Dental Cluster at National University Hospital, offers an overview of the impact of oral health on the ageing population. With the widening income gap and intensifying social inequality, the Chinese government has tried to expand its social welfare programme and increase its social expenditure since the early 2000s. Dr Qian Jiwei, a research fellow at the East Asian Institute at National University of Singapore, analyses the determinants of enrolment in social programmes. This sixth year of the symposium continues to encourage people aged 50 and above to embrace lifelong learning and keep healthy. The full-day event includes health talks and fun activities. Investigate the underpinnings of crime and thriller fiction with author S.J. Watson as he sheds light on his bestseller, Before I Go To Sleep, which was made into a 2014 film starring Colin Firth and Nicole Kidman (both above). Pick up tips on how to manage and market an a cappella group. Learn what it takes to make an a cappella group stand out from the crowd at this monthly workshop series by The A Cappella Society. This workshop will cover pest and diseases as well as plant propagation techniques. Participants will be introduced to wider variety of plant selections to increase their plant collection. They can bring in infected plants for diagnosis and advice too. Yellowren Arts Festival returns to the heartland with the theme "Dreams". Be inspired by local young talents in inter-school canvas art and dance competitions, artists showcasing canvas art and photography, and take part in hands-on activities such as art jamming, paper-quilling, cut and doodle, pebble art, cup craze, food art and recycled-material crafts. There will also be music/dance performances by 53A, Trick, The Facade, Youth Bands from Singapore Polytechnic and Legacy Dance Company.